Barry M are my all time favourites when it comes to nail varnishes, but aside from those I’ve never really tried much of their makeup line. 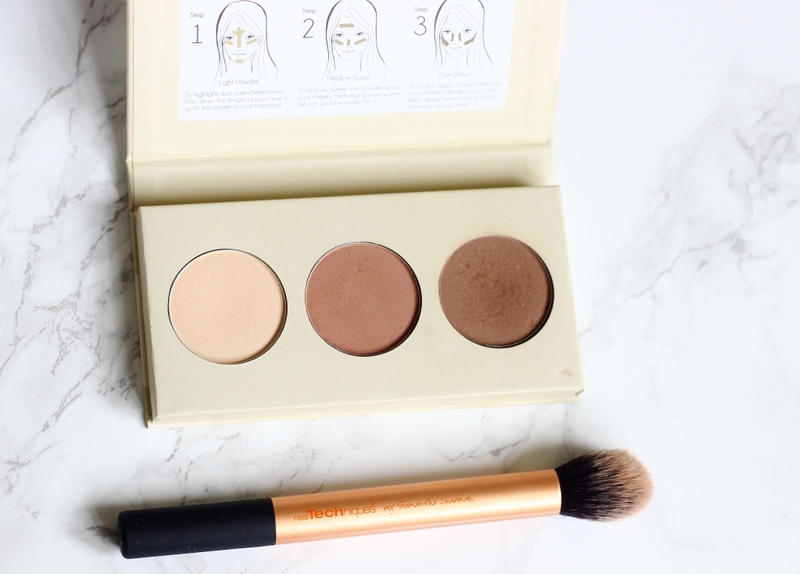 As the high-street is catching up with contouring craze (though I feel like Sleek were there way before anyone else) it’s exciting to try out what there is to offer at a budget price. 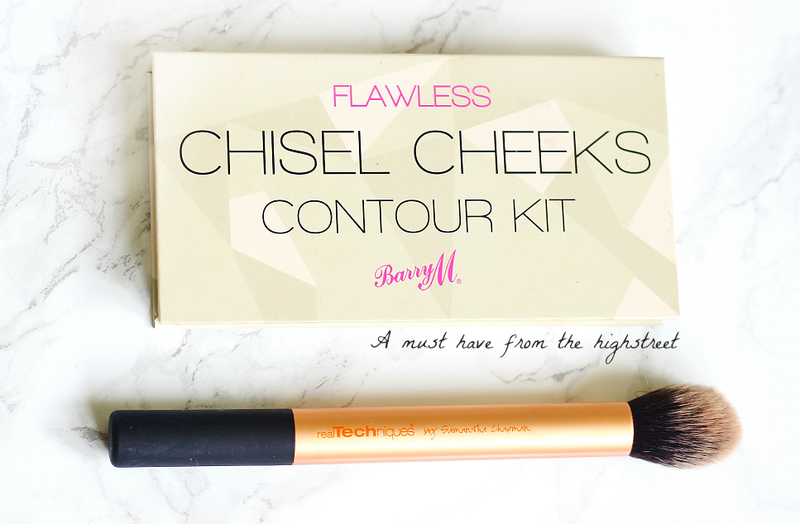 The Barry M Chisel Cheeks Contour Kit costs £6.49 and just to give you a heads up I liked this so much that I bought one for each of my best-friends! The size of the kit is great for traveling and for storage, it slots away neatly and isn’t annoyingly bulky. Cardboard packaging isn’t the most sturdy of course, but it does the job well enough and is super lightweight. It keeps shut with a sturdy magnetic fastening and on the inside of the lid they have included three detailed and useful illustrations on where to put each shade. This was actually the first contour kit I purchased aside from Sleek because I was happy with using individual bronzers to add definition (e.g Bahama Mama from The Balm review) and similarly individuals powders to highlight (Ben Nye Banana Powder Review and Mary-Lou from The Balm Review). It contains 3 matte shades, one to highlight which is slightly yellow toned, one to bronze and add that natural sunkissed warmth and finally the slightly grey-toned contour to sculpt out your cheekbones. The highlight shade I assumed would be good for setting the under-eye but a couple of hours later I found that it just didn’t hold up half as well as my trusty Ben Nye banana powder or my Bourjois healthy balance one. So personally I’m not going to be using it to set liquid or cream concealer but it works pretty well to brighten up all the areas you use your regular highlighter, especially for a work day or a quick 5 minute makeup routine. I love that the bronzer doesn’t lean on the orange side of things but a light hand is necessary because it’s super pigmented and matte which means it can be easy to over-do it. Finally the contour shade is not the most defining I’ve ever come across but it certainly does the job. I love that it’s cool toned and will work for those with light skin to those with olive skin too. The powders are beautifully soft and aptly pigmented, but they don’t come off as harsh on the skin. Price point these are the obvious choice for anyone new to contouring but the quality means its well worth purchasing for everyone. Contouring doesn’t have to be all fancy or take 500 steps, if you think about it when you apply a base you’re changing all your skin-colour to the same and losing the dimensions and contours of the face, so a bit of shadow here and there and highlight in the right places is to a certain extend necessary (especially if wearing a medium/full coverage base). Pros: It contains everything a beginner needs to start contouring, the powders are soft and pigmented yet very blendable, the packaging is lightweight, travel friendly and fastens shut with magnets making it secure. 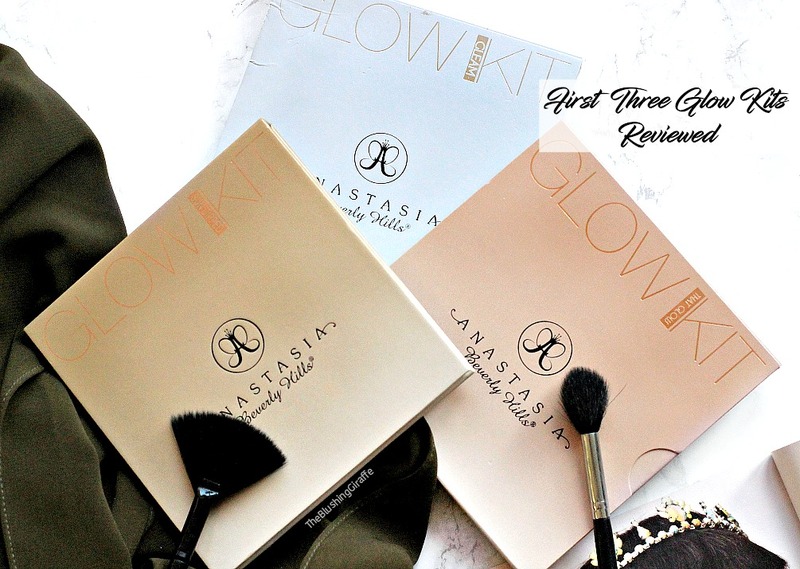 It’s super affordable and you get a decent amount of product in each pan, the shades could work for those with light to medium skintones and none of the colours are orange based which is brilliant! 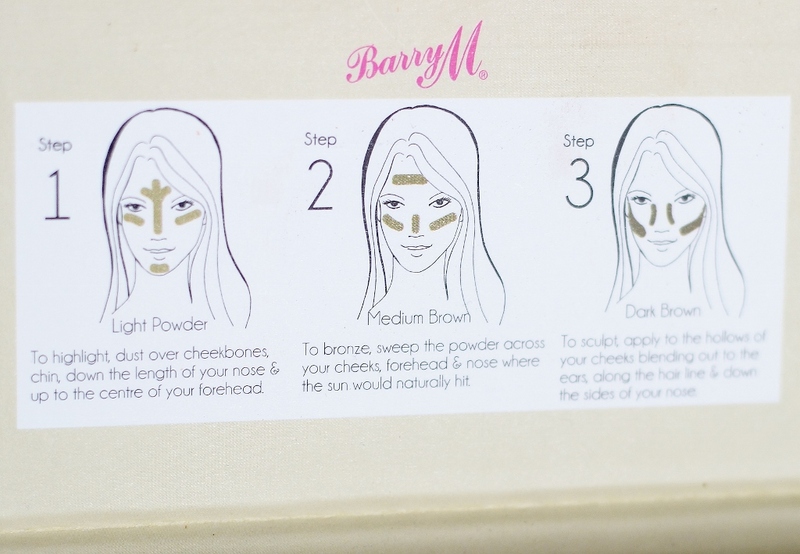 It contains detailed illustrations telling you where to put each powder and I think this is the perfect little kit for day-to-day slight definition and highlight. Cons: On my skin it doesn’t last all day, I wouldn’t opt for this on a day where I want my makeup to last from A.M - Night. Repurchase? As I’ve recently bought a high-end contour kit (keep your eyes out for the next few Thursdays it’ll be featured then) I don’t think I will be buying this again anytime soon but in a few years time, I wouldn’t rule it out! 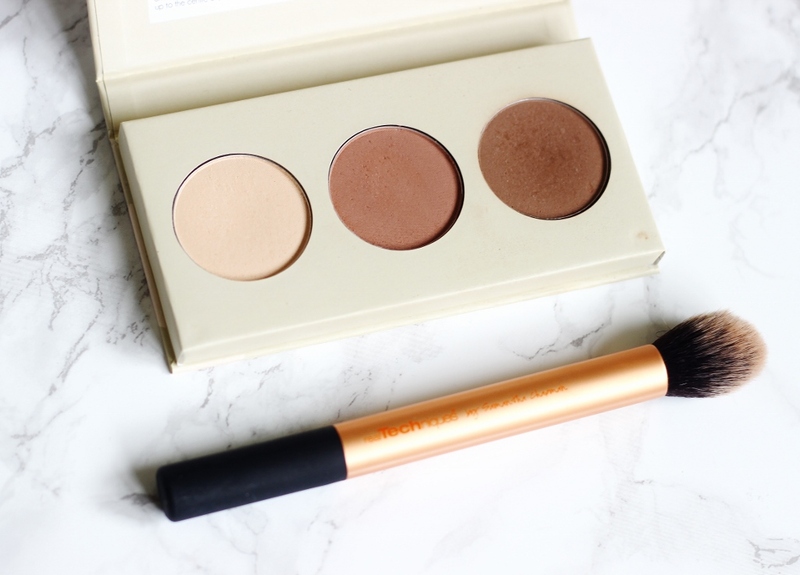 It’s a great kit for those first getting into contouring and for those who are looking for an affordable kit which does what it says on the tin.